Have you noticed the movement advancing across the country to promote sugar free or sugarless diets? You can hear about it in the campaigns calling for “added sugars” to be included on food labels and in the proposals suggesting taxes on sugary drinks. One problem with this effort is that there is no way to remove all of the sugars from what you eat. Sugars are naturally found in fruits, vegetables, grains and milk products, so our food choices would be severely limited if we tried to eliminate everything containing them. Sugar is also added to foods for its many functional purposes, such as the ability to improve color, texture, moisture, and yeast fermentation. It’s not just used to make things taste sweet. While it may be an unobtainable goal to go completely sugarless, there are a few simple steps you can take aimed at reducing sugar in your diet. What you see is not always what you get when it comes to the claims found on food packages. For example, “no added sugar” does not mean “sugar free” according to the Food and Drug Administration. 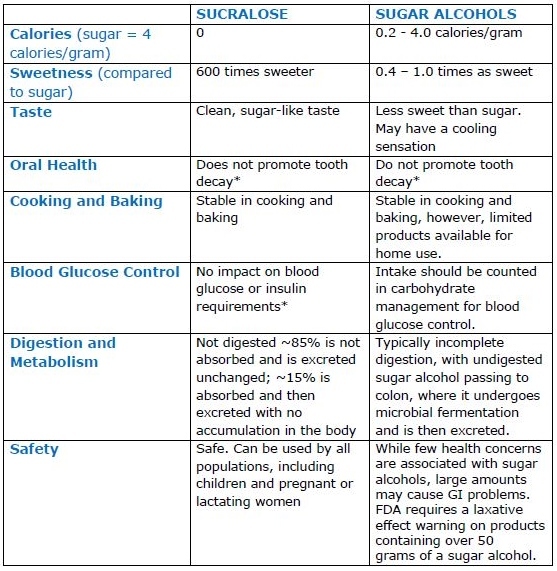 I have explained the difference and other important details about sugar labeling in my blog, Sugar Free Food Labels – What Do They Mean? One of the best ways for reducing sugar in your diet is to change the way you sweeten your foods and beverages. Replacing sugar with a sugar substitute like SPLENDA® No-Calorie Sweetener gives you the chance to enjoy a sweet taste with much less sugar in your meal plan. Now that’s a campaign worth joining! You can find delicious recipes with SPLENDA® No-Calorie Sweetener hereand learn ways to reduce added sugar at 365SweetSwaps.com.